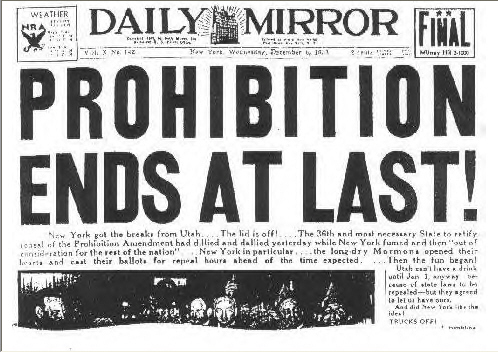 Prohibition officially ended at 5:32 p.m. on Dec. 5, 1933. While this was good news for whiskey producers, their happiness was not without qualification. During the long years of the Noble Experiment, many whiskey drinkers had turned to gin, which was cheaper and easier to make. And coming out of Prohibition, the supply of whiskey was very low. Many distilleries had gone out of business and would never return. A look at the ones that remained open, and what eventually happened to them, reveals just how small and intertwined the current whiskey-making world is. The biggest whiskey company was the National Distillers Products Company, a reputable company formed in the 1920s that was an indirect offshoot of the disreputable Whiskey Trust of the late nineteenth century. In 1933, National owned approximately 50 percent of all of the whiskey in America along with a number of notable distilleries such as the Wathen Distillery (Old Grand-Dad, Old Taylor and Old Crow), the Overholt Distillery (Old Overholt) and three other distilleries that produced straight whiskey. The company was acquired by the Jim Beam Brands Company in the 1980s. 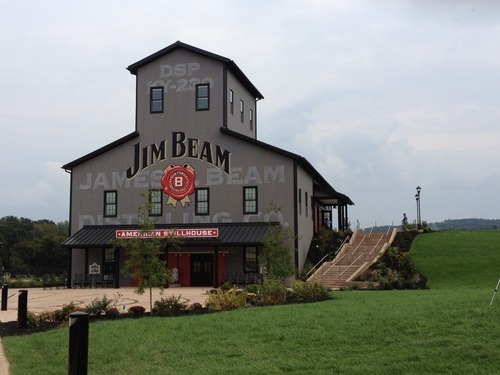 The James B. Beam Distilling Company was formed in 1933. It was purchased in the 1960s by what is now the American Brands Company and is currently called the Jim Beam Brands Company. It now owns the Old Taylor, Old Crow, Old Overholt and Old Grand-Dad brand names, in addition to four small-batch bourbons-Booker’s, Baker’s, Knob Creek and Basil Hayden’s-and its signature Jim Beam whiskeys. Schenley, under the guidance of its owner, Lewis Rosenstiel, had acquired a number of distilleries, brand names and quite a stock of whiskey during Prohibition. By 1934, his company owned the George T. Stagg Distillery (Ancient Age) and the James E. Pepper Distillery (James E. Pepper whiskey) among others. I.W. Harper, Old Charter and Cascade (George A. Dickel) brand names were purchased by Schenley in the late 19305. and Schenley itself was later acquired by United Distillers. The George T. Stagg Distillery went on to become the Ancient Age Distillery and was sold before Schenley was taken over. The plant is now owned by the Sazerac Company (Bourbon Babe here: and called Buffalo Trace) and produces Ancient Age, Eagle Rare, Benchmark and a range of single-barrel bourbons-Blanton’s, Rock Hill Farms, Elmer T. Lee and Hancock’s Reserve. The Stitzel distillery joined forces with the Weller company to form Stitzel- Weller. The company bought the Old Fitzgerald brand name in 1933 and went on to become part of United Distillers in the 1980s. Glenmore Distilleries (Kentucky Tavern, among others) survived Prohibition well and went on to become a major producer and importer of a number of liquor and liqueurs. The company was acquired by United Distillers in 1991. Brown-Forman (Old Forester, Early Times) had a supply of aged whiskey on hand to kick off the 1933 celebrations. After the company’s 1934 fiscal year didn’t turn out to be as profitable as predicted, its president, Owsley Brown, did the honorable thing and offered half of his stock to his disappointed investors in lieu of a dividend. The company went on to buy the Jack Daniel Distillery in the 1950s. Frankfort Distilleries (owners of the Four Roses brand) survived the dry years and was bought by the Seagram company in the 1940s. 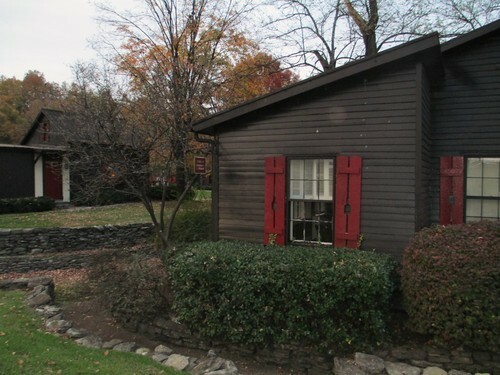 Leslie Samuels (Maker’s Mark) reopened his Dearsville distillery in 1933 and sold T.W. Samuels Bourbon (named for the first Samuels to open a commercial distillery). His son, another T.W. Samuels, took over the operation after Leslie’s death and ran it until 1943. After taking a 10-year sabbatical from the industry, he returned to his whiskey roots, bought a plant in Loretto that he named Star Hill Farm and started to produce Maker’s Mark Bourbon in 1953. The Tom Moore Distillery was reopened as the Barton Distillery after Prohibition. It was later taken over by Oscar Getz and is now owned by Barton Brands (The Babe again: Today it is owned by Sazerac). Whiskeys made at this distillery include Very Old Barton, Ten High, Kentucky Gentleman, Colonel Lee, Tom Moore and Barclay’s. In 1935, a group of investors opened the Heaven Hill Distillery in Bardstown. The Shapira Family, owners of this distillery, now produce Heaven Hill, Evan Williams, Elijah Craig and Henry McKenna bourbon as well as Pikesville Supreme Rye Whiskey. Also in 1935, the Austin Nichols company, previously concerned solely with the food business, took an interest in whiskey and other liquors. 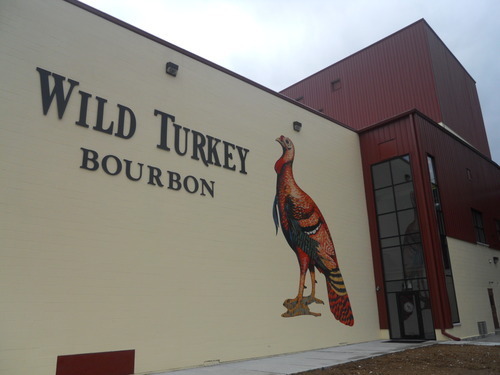 In 1942, they introduced Wild Turkey bourbon to the marketplace. Read more of the DISCUS account of Repeal here. And drink up!